Quadrajet throttle plate bracket for use with TV cable 200 4R trans? Topic: Quadrajet throttle plate bracket for use with TV cable 200 4R trans? Hello fellas! I really need some help and direction. 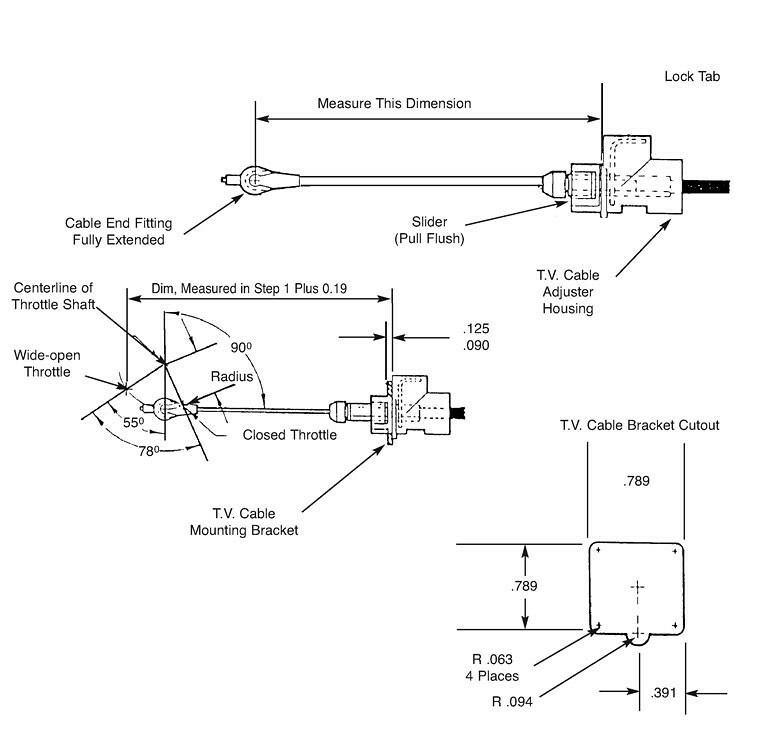 I cant seem to locate a bracket/adapter or kit that will work with the quadrajet throttle plate for the TV cable hook up. Bowtie overdrives company has kits for only specific Qjets, which I think are Chevy type. Everyday Performance has a bracket that is isntalled by modify throttle plate by grinding off old one and adding bracket. Does anyone have any info or referrals for TV cable bracket for Pontiac Q Jet? most of the post I've read on this site regarding 200 4R conversions are a few years old. but maybe some company has made a bracket now in 2019. Please help! as I have called numerous companies and have not found a correct kit or bracket for Qjet carb. Re: Quadrajet throttle plate bracket for use with TV cable 200 4R trans? I guess you could compare the throttle diagram to what you have, at least see if there's an existing plate area that covers it or an extension be required. But I wouldn't want to do a thing without someone who knows what they are doing, having also done it successfully. Just something to look at really, there's several similar diagrams out there. It wouldn't hurt to keep an eye out for a replacement Qjet that used the 200 4R, even if just for spares or to compare, graft part of the linkage off it.